A few housecleaning items upfront – we’re off to the Chesapeake Bay on Thursday for a mini-holiday over Labor Day so posting will be sporadic as the weekend approaches. 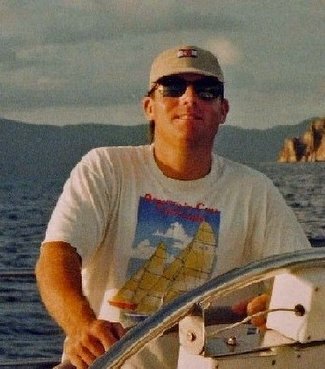 Also be sure to check out the lively discussion the last post generated off of Herb McCormick's Cruising World editorial lambasting the overall tenor of the 2007 America’s Cup. Ifirst wrote about New Zealand voyager Graeme Kendall back in April when he began his 28,000 nautical mile journey to sail solo around the world via the Arctic Northwest Passage. According to this article Kendall, 58, is currently in Baffin Bay close to Lancaster Sound, the entrance to the Arctic Northwest Passage. He’s had to abandon his attempt after icebergs blocked his way and the Canadian coastguard advised that it would be too dangerous to attempt to continue…even if the Passage were to open up, there’s a high probability the sea would freeze over again, blocking any escape route. Kendall, a sailing mate of the late Sir Peter Blake, has covered over 18,000 nautical miles since he left Auckland on April 26. You can read more about his encounters over these many lonely ocean miles here on his website. Even though he wasn’t able to complete his journey…I think we can still award an A plus for effort.